SAUL, THOMAS, supply agent, commissary at Halifax, Nova Scotia; fl. 1750–60. 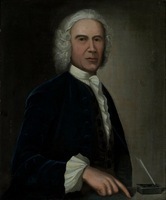 Thomas Saul came to Nova Scotia in 1749 or 1750 as the agent of William Baker, an important London merchant and government contractor and a close political ally of the Duke of Newcastle. Baker and his cousin Samuel Baker held the contract for victualling the recently captured fortress of Louisbourg, Cape Breton Island. Upon the return of Cape Breton to France in July 1749 [see Peregrine Thomas Hopson], all of the contractors’ provisions were sent to the new English settlement at Halifax. 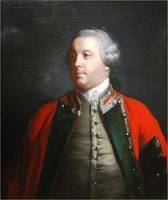 Baker agreed to victual and pay all the troops in Nova Scotia other than Governor Edward Cornwallis*’ own regiment, and the immediate supervision of the contract was the job of Thomas Saul. 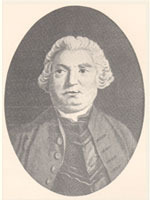 As Baker’s representative, with established channels for the supply of provisions and a ready fund of money, Saul soon became the most reliable source of food and cash in Halifax. In September 1751 Governor Cornwallis turned to him to provide coin to pay the labourers employed on public works. When, at the same time, another contractor who was to supply the settlers failed, it was Saul who provided 224,000 pounds of bread. Unfortunately, as his master’s good and faithful servant, he used the urgent necessity of the colony as an occasion to strike a hard bargain and charge twice the market price for the bread. The Board of Trade, however, forced Baker to adjust the price downward before payment was made. Such occasional sharp dealing did not seem to hurt Saul’s position in Halifax. By July 1752 he was employing ten servants, and he soon enjoyed the confidence of the new governor, Peregrine Hopson. Saul supplied food and money to the colony on another occasion when other sources failed and he became the “Commissary of Stores and Provisions” for the province. Hopson had been enjoined by the Board of Trade to check into the execution of Baker’s contract, but apparently found no reason to make an adverse report. Another investigation, under Charles Lawrence in 1755, gave Saul a clean bill. This was no surprise, as relations between Saul and Lawrence were close. Lawrence was the major of Warburton’s regiment (45th Foot), one of those for which Baker and Saul provided victuals and pay, and there is every reason to believe that, as was common among officers in the 18th century, he already had close financial connections with the regimental agents when he became president of the Nova Scotia Council. 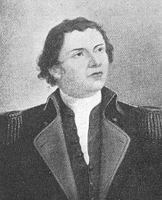 In March 1757 an anonymous correspondent wrote to Lord Loudoun [John Campbell], then commander-in-chief of British forces in North America, that Lawrence had diverted thousands of pounds of public money to his own use. He was accused of being “under obligations to Alderman Baker, or rather his Agent Thomas Saul, a villan consumate in iniquity.” Saul was charged with giving the soldiers short provisions. Whatever the truth of these and other allegations, Saul could easily gain every possible advantage from his position; with his business and official connections he was virtually immune to effective control, save by those whose interests coincided with his. The summer of 1757 brought large British forces to Halifax. Saul, who was now deputy paymaster, received £22,000 in coin for paying subsistence money to the troops. By the end of the year he still held over half this amount. Doubtless he followed the common practice and used this balance for private trading, for he was said to have been “the wealthiest and most enterprising merchant” in Halifax. Receiving many favours from above, Saul likely also dispensed them. He assisted Lawrence and perhaps also George Saul – presumably a kinsman – who was commissary for the removal of the Acadians and then went to New York to act as agent for the British contractors Baker and Christopher Kilby. The seemingly endless profits open to Saul and his master could, however, be threatened by a cessation of hostilities in America or a political upheaval in London. Both occurred in 1760, with the conquest of New France and the death of George II. Baker was no doubt anticipating these events when he terminated his contracts by 1760. In the same year Governor Lawrence died. Saul had been elevated to the governor’s council in 1759, but he apparently had no taste for remaining in Halifax in that capacity or as a private trader, for he returned to England at the end of 1760. Thomas Saul was one of a type increasingly common in the 18th-century British empire. He appears in written records only as an occasional signature on an account or a name in a report. Yet, by virtue of his semi-official position and his control of a sure supply of money, he wielded great power over the lives of soldiers, settlers, and traders in the first decade of settlement at Halifax. BM, Add. mss, 33029. Henry E. Huntington Library (San Marino, Calif.), AB 876, LO 3250. Library of Congress (Washington), Great Britain coll., Army accounts, 1745–75, pp.25, 283–95, 299. PANS, RG 1, 165, pp.83, 139. PRO, AO 17/41, pp.202–7, 214–17; 17/42; T 29/32, p.13; 29/33, pp.224, 310; T 38/373; 38/374, p.194. Documents relating to currency in Nova Scotia, 1675–1758 (Shortt). “Letterbook of John Watts . . . ,” N.Y. Hist. Soc. Coll., LXI (1928), 239. N.S. Archives, I. PRO, JTP, 1749/50–1753. Bell, Foreign Protestants. Murdoch, History of Nova-Scotia, II, 373, 391, 394, 398. T. B. Akins, “History of Halifax City,” N.S. Hist. Soc. Coll., VIII (1895). James C. Hippen, “SAUL, THOMAS,” in Dictionary of Canadian Biography, vol. 3, University of Toronto/Université Laval, 2003–, accessed April 26, 2019, http://www.biographi.ca/en/bio/saul_thomas_3E.html.